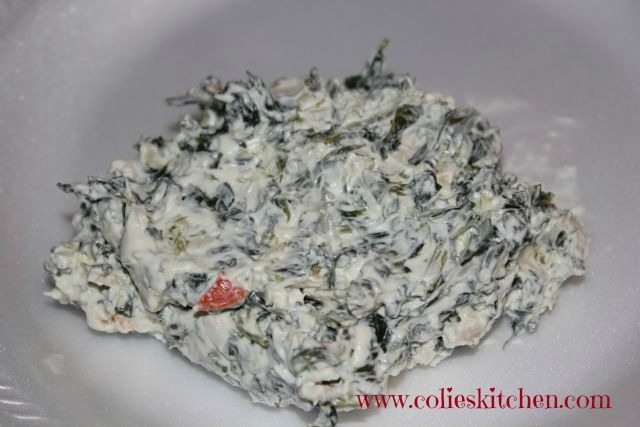 Spinach dip is one of my favorite dips to have during the holiday season we always have it on Christmas Eve and New Year’s Eve. I rarely make it any other time of year. Why… no idea! I guess it’s just the holiday’s that make me crave it. I was think today it would be excellent in a wrap. If you don’t like spinach don’t let that stop you from making it because to be honest with you… you can’t even taste the spinach. It’s an excellent dip that goes a long way for a group but it’s also inexpensive and very tasty. I grew up on this dip and now my family is growing up on it too. Enjoy! Cover and chill in the refrigerator at least 2 hours over night would be best.